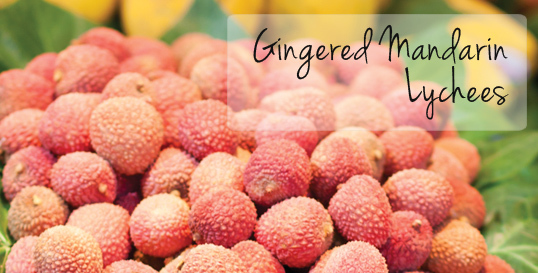 With a paring knife, peel and seed lychees, and add to a bowl. Add mandarin oranges, orange juice, lemon juice, and ginger, then mix gently. Cover and chill. Serve chilled, garnished with fresh mint.